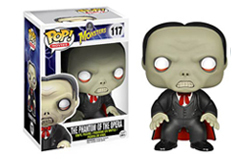 As you may know, I have always been a big fan of Monster and/or Halloween toys. 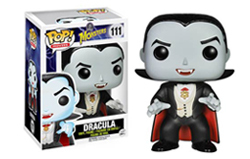 I have written before about my favorite childhood toys like my Castle Dracula Fun House colorforms, My old Mego Mad Monsters, My creepy puppet Hugo: Man of a Thousand Faces and my all time early childhood favorite - The Weebles Haunted House! 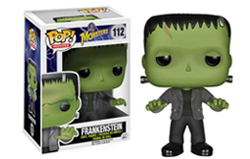 Monster High Dolls, Fisher-Price Little People Halloween Sets, and Universal Monsters Hot Wheels! It’s a perfect night for mystery and horror! The air itself is filled with…monsters! 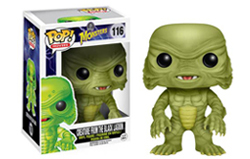 Funko is bringing the legendary Universal Monsters to life in a new Pop! series! 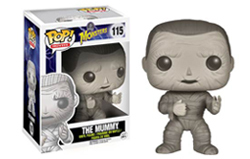 Dracula, Frankenstein, The Bride of Frankenstein, The Wolf Man, The Mummy, Creature From the Black Lagoon, and Metaluna Mutant are all creepy cute! 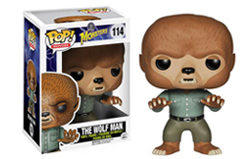 I can't wait to get a bunch of these. 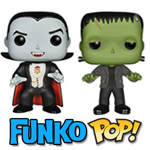 Check out these "creepy cuties"! Take a bite out of the Pop! collection! 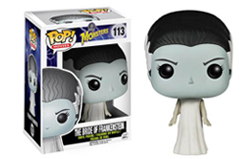 Universal Monsters Phantom of Opera! I can't wait to get some of these. I just have to decide which ones to get first. I hope they don't sell out too quickly!